Over the past few posts I have been exploring the Biblical idea of hearing God. This theme appears regularly in the Bible, but I have been using the imagery of John 10 as the focal point. It is here that Jesus famously identifies himself as the good Shepherd. He says that we are his sheep, and that by faith, we are able to recognize and respond to His voice. This was the passage from which I launched by book 10:10, and in the months since its release I have been asked lots of questions about the project. Interestingly, the topic of recognizing the voice of the Good Shepherd has come up as often as any other. As I talk to people I consistently see that idea that we can hear from God seems to provoke paradoxical emotions: it’s intriguing, but it’s confusing; it’s exciting, but it’s a bit spooky. Inevitably the conversation shifts from discussing the topic at a theoretical level to sharing specifically. I have been asked this a number of times now: What does it look like for me to hear God? It’s a fair question, yet one that’s difficult to answer in the short time frame that I’m usually given. It’s almost always in the context of an interview, where there is only time for a sound byte answer, and this is a topic that doesn’t lend itself well to Twitter-size responses. Therefore I decided I would do a blog series on it, with the hopes of establishing a theological framework for a more comprehensive dialogue. These four posts lay that foundation: 1, 2, 3, 4. With those in place, I will now jump to my 3-word answer for how I hear and discern the voice of God in my own life. I’m not trying to present myself as some final authority on the topic — I’m just hoping that by sharing a system that’s been developed over a lot of years might help some of you grow in your capacity to hear God as well. So what does it look like for me to hear God? Here is my simple, 3-word answer for how I hear God most of the time: The Great Commandment. This is one of those seemingly impossible questions to answer, and one might have expected Jesus to skillfully avoid or redirect it. After all, the Mosaic Law was at the heart of the Jewish religious system, and was the primary influence on their values and ethics. How could Jesus selectively choose which Law was the most important. With that, Jesus gave all of us amazing clarity about what lies at the center of the Christian experience. While there will always be numerous implications and nuances to actually living it out, the center always remains the same: love God, love neighbor. I have been taught the importance of the Great Commandment since childhood, but for some reason I never thought to connect it to the topic of hearing God. I’m not sure why – if love God/love neighbor is the center of the Christian experience, then it should serve as a reference point for almost every sub-conversation about Christian living. But I didn’t make the connection, and I still don’t recall anyone ever making it for me. The connection between the Great Commandment and hearing God was more of an accidental discovery than a theological revelation. There is a whole story of how I came to the conviction (maybe even conversion) that I was going to take very seriously the fact that God speaks to us, and that we should orient ourselves daily in our attempts to hear God… but I’ll tell that another day. The relevant point here is that I began to be very serious about this topic, and I consumed every resource I could find on how to hone my ability to listen and respond. I began to experiment with different methods of discernment and processing of that, and tried to figure out what worked and what didn’t. A number of years passed, and I found myself growing in my confidence to be conversant with God. It evolved from a disciplined approach to more of a daily instinct, and I was grateful for that. It was also around then that some of the folks in my community asked me to mentor them in the arena of hearing God. I agreed. I had a harder time translating my own experience of hearing God than I expected though. It had become so ingrained in my everyday prayer life, and I very rarely articulated it for other people. So I told them I would do an experiment, and share the results with them at its conclusion. The experiment was this: I would pay close attention every time I sensed anything that felt like a leading or prompting from God. When it would happen, I would record it in as much detail as I could in my journal (and oftentimes with hearing God, it’s not until a ways after that you actually sense it might have been God). I did this for two weeks, and then I compiled all my entries. I was hoping to decipher a pattern, and to my delight, there absolutely was: every time I sensed a prompting from God, it cleanly fell into the domain of the Great Commandment. Every leading I sensed had to do with either loving God or loving neighbor. This was a big breakthrough for me. It gave me such a clear way to listen for the voice of God. And it made so much sense! If the center of the Christian experience is love God / love neighbor, then why wouldn’t that be the center of our conversation with God as well? I’ll try to share some concrete examples of how I discern the voice of God in each of these categories in the next post. But for now I’d love present this as an idea for you to consider: what if the Great Commandment is not only the center of the Christian law – what if it is the key to hearing the voice of God? Maybe you could begin experimenting with that in your own life? If Jesus is the Good Shepherd, and if he calls you by name, and if he wants you to recognize his voice, then maybe this is a helpful way to listen for him? 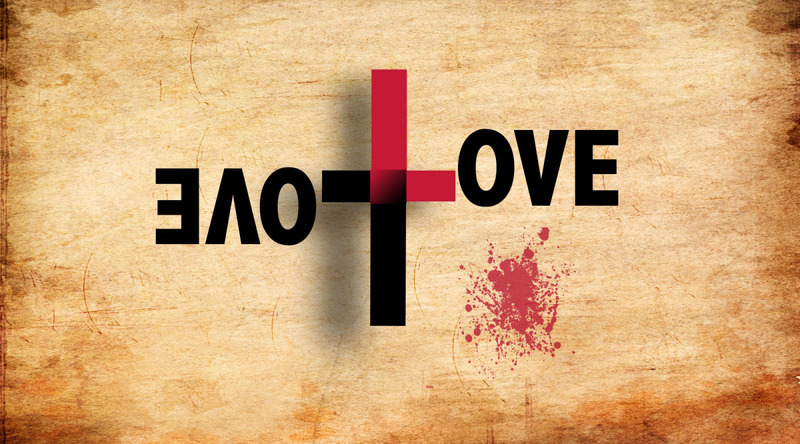 Maybe the language of Jesus revolves around these two simple ideas: Love God. Love neighbor. Good thoughts today. Keep up the good work on your project. Thanks for your consistent encouragements Dave!